Discover how to create an encouraging, productive school culture using the Schoolwide Positive Behavioral Interventions and Supports (SWPBIS) framework. By implementing schoolwide positive behavioral interventions and supports (SWPBIS), K–12 educators can create an encouraging, productive school culture. 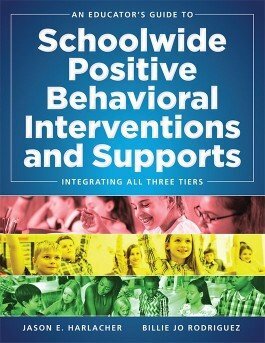 This title introduces readers to the comprehensive SWPBIS framework and explores the key elements of its three tiers of support. Learn about the authors’ personal experiences in applying SWPBIS and explore practical examples of what the elements and tiers of this model look like in practice. Understand the structure of the SWPBIS framework and its four key elements. Read testimonials from principals and teachers whose schools have created positive school climates through the SWPBIS platform. Learn why decision making in an SWPBIS framework relies on data and how school teams can ensure they use their data accurately to target suitable solutions. Gain specific steps and a general timeline you can use to start implementing SWPBIS. Examine example scenarios and two thorough case examples of how elementary and secondary schools have adopted and maintained SWPBIS structures.